Designed specifically for use with the SEL16F28 Wide Angle lens, this converter provides an ultra-wide angle of view making it possible to shoot dramatic wide-angle scenes with extended depth of field. 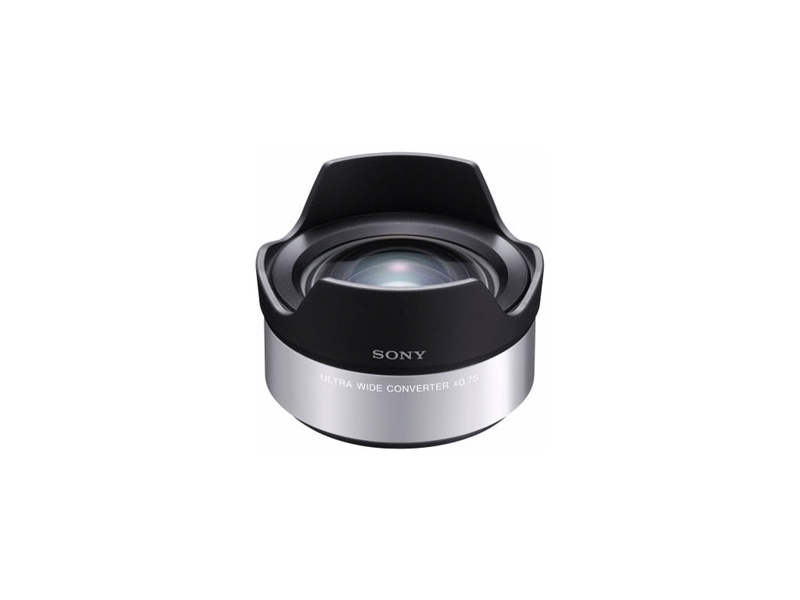 The Sony VCL-ECU1 0.75x E-Mount Wide Angle Conversion Lens provides an 18mm focal length and 0.75x magnification for wide-angle shooting with Alpha NEX cameras. Whether you're shooting landscapes or working in tight spaces the VCL-ECU1 opens up the scene, allowing you to get more in the frame. Attach the conversion lens to the 16mm lens on your NEX and start shooting. Included front and rear lens caps, along with an included case, keep the lens protected when not in use.